This week’s Etrian Mystery Dungeon trailer introduces the Gunner class, which specializes in ranged combat. The Gunner has the ability to bind specific enemy body parts, such as legs to stop them from walking, or arms to stop them from attacking. 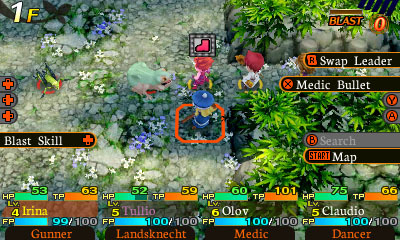 Etrian Mystery Dungeon is due out for 3DS in North America on April 7.